JP Werlin, the CEO at PipelineDeals, shares his strategies for reducing another kind of waste – wasted time. Many businesses recently celebrated Earth Day by committing to reduce the physical waste and pollution they create. In this post from JP Werlin, the CEO at PipelineDeals, JP shares his strategies for reducing another kind of waste – wasted time. Every year Earth Day gives us an opportunity to pause and think about conserving our resources. We normally think of reducing waste in terms of our ecological impact, which is important. But, as a business owner and entrepreneur, the waste that I worry about the most is wasted time. We can create more software, we can make more products, and we can provide more services. But we cannot create more time. For me, running a waste-free business means working to continuously encourage our team to become more productive. There’s no silver bullet to cut back on waste. Running a waste-free business is a mindset to constantly challenge the current state of your business processes and work to make incremental improvements. But there are proven strategies that have measurable impact. Here are 6 ways to reduce wasted time and increase productivity that I’ve learned organically building PipelineDeals over the past nine years. The weekly meeting is a dreaded feature of many companies. PipelineDeals used to have weekly meetings that functioned as company-wide round tables on what was happening in the business. This worked when there were three of us sitting around my kitchen table, but it didn’t make sense as the business grew. PipelineDeals team members in our PA office during a recent “Virtual” stand-up meeting. One of the Pipeliners, Brandon, suggested we try something different and co-opt a tactic called “Daily Stand Ups” which we learned about when our Engineering Team starting using a software development process call Scrum. Today, our weekly meeting is in a weekly stand-up format. We also host an Ask-Me-Anything session where team members can pose questions to the leadership team on any part of the business. As for the time savings? Instead of company meetings of an hour or more , our weekly company meetings typically last 15 minutes, are much more concise and the important messages rise to the top saving everybody time. For small and midsize businesses, I fundamentally believe that sales teams are responsible for A/R. Most businesses depend upon already stretched accounting departments to collect revenue for salespeople, and as a result they waste valuable time and resources that could be spent elsewhere. At PipelineDeals, we require A/R to be collected before a salesperson can earn their commission. Through making the sales person a stakeholder in collecting A/R, we’ve changed the dynamics for revenue in the business. We’ve reduced uncollected A/R (currently running at 0.3% of revenues) and improved cash flow in the business. Finally, we’ve reduced the stress of our accounting and finance department (we only have one full-time person in accounting right now) and freed them up to focus on more strategic parts of the business. Diagram of specialized sales roles (based on Aaron Ross’s Predictable Revenue). One powerful way to cut down on waste and friction in sales is to specialize salesperson roles to focus on different parts of the sales cycle. By following the specialization of sales roles we’ve increased our close ratio by 25 percent in just a few months. We also reduce friction in sales by reducing the amount of information our salespeople have to collect. When our VP of Sales, Mike, started last year, salespeople spent an average of seven minutes per lead searching and entering data. Mike set a goal to reduce the time spent to zero. One way we’re doing that is by leveraging services like FullContact to augment data on incoming leads. We receive hundreds of inbound, unqualified leads a week and we are now saving 7 minutes per lead to qualify them. That seven minutes really starts to add up over time! The Tech industry is notorious for chasing the latest tool to improve their business. 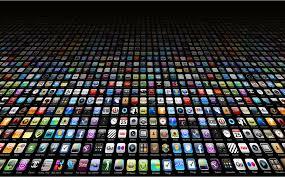 This tendency to acquire apps can be a fundamental drag on any business. Unfortunately, many business leaders ignore the real costs of switching to a new app. Take a look at all the apps that you’re using as a business and figure out what people are actually using to be productive. Before you run out to buy the latest tool, ask yourself if you can accomplish this task with an existing toolset. PipelineDeals has grown up over nine years. Like any company, our processes evolved through time as we grew in size and complexity. Sometimes this is good, sometimes this is bad. One thing we realized early on is that amazing things never come out of the status quo. Amazing things happen when you take a risk and try something new. One of the best strategies that we use to encourage fresh eyes on our business processes is I personally meet with every new hire. I encourage them keep a personal notepad of things we do that doesn’t make sense to them and ask “Why?”. I tell them that they should jot something down to bring up if they hear things like “this is the way we’ve always done it” or “we tried that, but…” . To us those are dangerous mindsets that need to be revisited. New hires are great for identifying parts of the business that are atrophied and are ripe for innovation. We don’t always make changes based on their input, but their perspective helps ensure our processes remain sharp and efficient. For existing team members, my new favorite question is “If today was your first day, what would you do?” (Full disclosure – I borrowed this question from one of my all time favorite books, The Leadership Challenge by Kouzes and Posner). I think this question gives a sort of permission to existing folks and helps them think in new ways. I can admit that I haven’t always been a stickler on meeting times. Recently, our VP of Operations Martin articulated in a clear way the importance of being on time to meetings. I often think about being on time as a courtesy to others and simply good manners. However, accepting lateness to meetings can also be a black hole of lost time. For example, imagine you have six team-members in a meeting. If only one person is late to the meeting, the negative impact on the business isn’t just that person’s five minutes. The impact is exponential. One late person to this meeting wastes five minutes of five people’s time. That’s 25 minutes of wasted business time! If that same person is habitually late to meetings, that person will waste hours per year of productive business time. Any entrepreneur in their right mind would love to have an extra hours to be productive! What are the strategies that your business uses to cut down on wasted time? Share your strategies in the comment section below. JP Werlin is the CEO and Co-Founder of PipelineDeals. He is a seasoned entrepreneur who enjoys building and leading teams of great people. JP is passionate about creating lasting brands that provide value and create mutually beneficial relationships between people. You can follow him on Twitter via @jpwerlin.